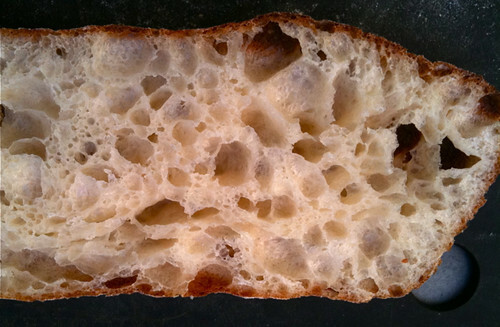 I've been working on this Italian ciabatta for a couple of weeks, writing about the process as I go. I'm not sure where it will all end up, but it has been fun. 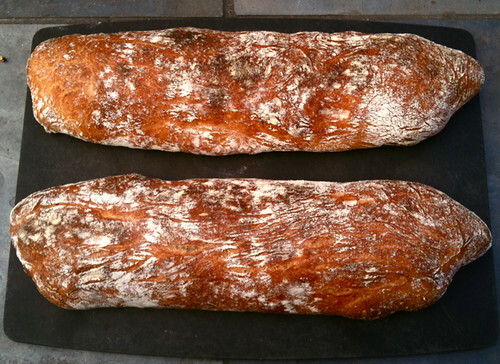 This bread is made with a biga, or a hunk of stiff prefermented dough with a pinch of yeast, that rose for 16 hours. I then mixed the biga into the final dough, which itself rose slowly in the refrigerator for another 19 hours. 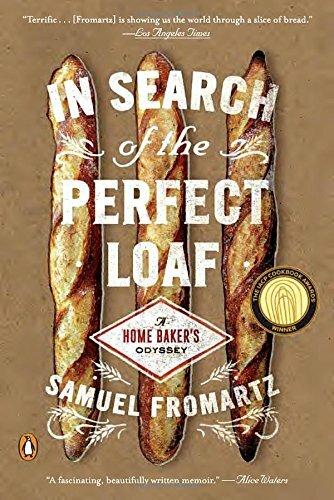 The result was a light, sweet, and chewy crumb and crisp dark crust that made for a perfect sandwich today -- or actually two.